I have a 1965 1800ti motor which I disassembled a while ago. I've noticed that the connecting rods don't have the H beam cross section. They are rather a dull knife edge shape, and their finish does not appear to be tampered with, suggesting they are factory. Is this the standard connecting rod shape used in the very early M10 motors, or is it something specific to the ti. They appear to be lighter than the more familiar M10 connecting rods, although, I did not measure them. The motor does not have a fully counterbalanced crank either. But I've noticed that the 1800TISA motor has the more familiar fully counterbalanced crank like the 2 liter M10. The 1800TISA also has the H beam type connecting rods. Are the H beam style connecting rods stronger ? Can any of you guys shed any light on this ? I don't know about the rods, but do know that the early cranks were indeed non counter balanced. The TiSA cranks being the first fully counter balanced cranks in the M10s from BMW. So the 2 liter crank made its first debut in the 1800TISA. The 1800, 1800ti and 1800TISA up to 1969 all have the 84mm bore with the 80mm stroke. The stroke is the same as that of the 2 liter. And, the H pattern cross section for the connecting rod most likely made its debut here as well. 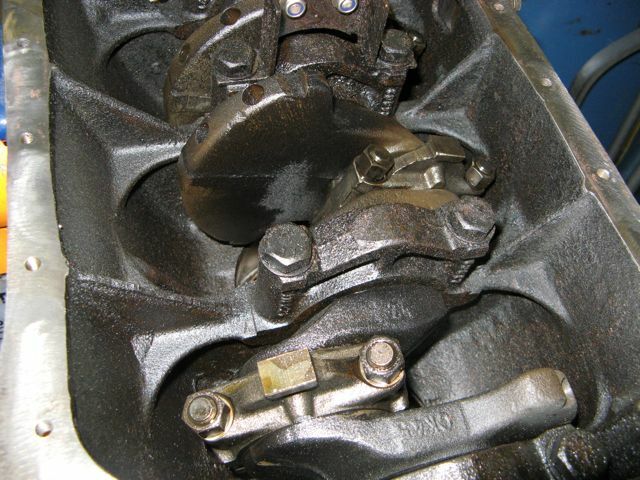 All the 2002 guys can brag that they have the TISA crank and possibly the connecting rods as well. An old timer who worked as a salesman for BMW back then informed me that the 1800 motor was not as smooth as the 2 liter. Anybody out there running a pre 69 1800 or 1800ti ? Do you have any input on this ? I've been researching the evolution of the M10 motor. A logical assumption is that BMW gradually increased displacement from 1500 to 2000. But, this is not exactly what happened. After the 1500 of 1960, BMW immediately went to the 1800 by increasing the bore to 84mm from 82mm and by increasing the stroke from 71mm to 80mm. The 1600 actually followed the 1800. The 1600 retained the bore of the 1800, but adopted the stroke of the 1500. So, it is just a bored out 1500. 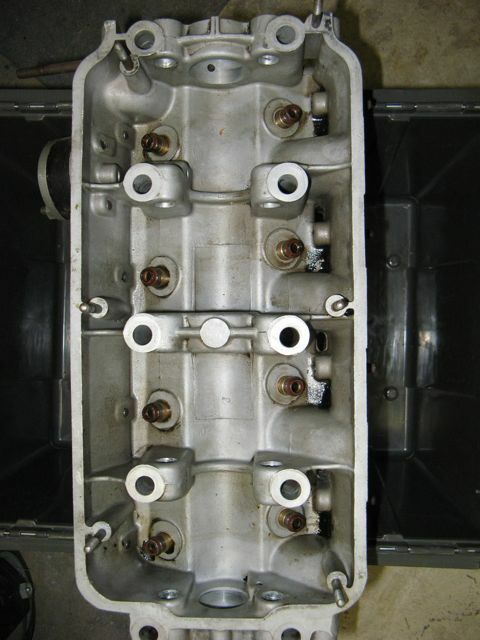 The 1800ti had larger intake valves which were later adopted by the 1600-2. The 1600-2 also adopted the 118 head which was first used on the 1800TISA. The TISA head though used larger valves and duel springs. The valves on the TISA head were retained in the 121 heat for the 2002. In 1968-69, BMW redesigned the 1800 motor to by increasing bore to 89mm (like the 2 liter) and decreasing stroke to 71mm (like the 1500and 1600). The second generation 1800 motor used the 118 head (like the 1600). This motor was used in the last of the NK1800s and the 1802. 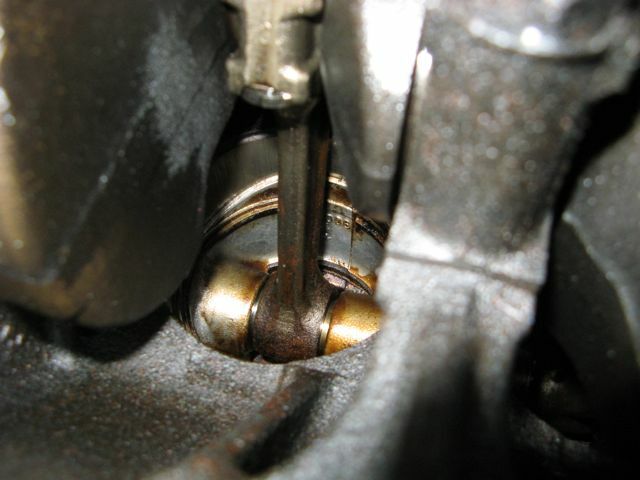 These stroke bore dimensions were retained in the US spec 320i (1980-83)and later the E30 318. So BMW de-stroked their motors in two instances to make a smoother running motor. The valves in the TiSA heads were the same as big valve 121 heads (ti and tii), E12 and later heads. The illustration in the p/b shows both styles, early and late. Each illustration is numbered, Early is #1, later is #2. In the text of the page, the table indicates that the only fitment given for TISA is style #1. However, there are two part numbers given; 11 21 0 616 020 and 11 21 1 255 016, the latter superseding the former. I find it completely feasible that BOTH styles were used in TISA motors, with BMW supplying the later crank for replacement purposes. I know that my TISA had the original crank replaced with a two-liter crank by the previous owner. Maybe Pete Stillwell, longtime TISA owner can shed some light here. I don't believe dual valve springs were standard on TISA's. There is no information in the 72 P/B to indicate that and mine certainly did not. However they may have been fitted by BMW on factory racey cars. Additionally, The TISA did not use the 118 head. It had a unique casting. The TiSA valve springs for the 300 cam were not double, but were a heavy duty single style. They were a popular period upgrade, up until at least the late eighties.. I do not know what springs were used with the 324 racing cam. I wonder why some of those early cranks were prone to breaking. They were forged, after all. As far as the head casting, I've seen some pictures of TISA motors with the 118 casting. If not the 118, what was the number of the casting ? I know that 1800 and 1800ti motors used the 116 casting which has the more simple wedge shaped combustion chamber vs. the swirl shape for the 118, which resembles the later 121. I've been told that the 116 and 118 heads are interchangeable. Since we are on the topic of TISA motors, I've seen some +1mm oversize NOS Mahle TISA pistons on e-bay. I think the seller is in Canada. He's asking $450 for the set. This is not that bad. IIRC, TISA Heads say "TISA" on them vs any casting number. And how about the TISA flywheel and clutch components ? I'm assuming they are either the same or similar to the 1600 and 1800. The 1600, 1600-2 and 1800s all use the same 200mm clutch, with the Ti variants using pressure plates with stiffer springs for more clamping power. I'm working on a restoration of a 1965 1800 built in March of 1965, according to BMW archives. This discussion is very helpful and interesting as I've been trying educate myself regarding the NK cars and early M10 engines. My block matches the VIN, 1237694. Attached are images of the crank and a rod. The crank appears to have counterweights and rods appear to be H-beam although I don't have a later 2 liter to compare visually. One other piece of information that I can add to this discussion is that it appears early heads (mine had 116 cast on it) did not come with the cam oiling tube. I've also attached an image of the head clearly showing the lack of a threaded port for the tube to attach to. I was told by a local tech with many years of experience working on these (he owns an 1800) that the early head camshafts were hollow and were oiled internally, like the Schrick 336. Also, can anyone confirm that a later eight bolt crank can be installed in this engine without any additional machine work? Thanks to all who have contributed to this post. I should add that I am certain the bottom end is original as I have records going back to a 1967 CA registration and the only receipts are for a head rebuild in 1996. Ye, the cam is hollow, and there is no oil spray bar on the 116 head from my 65 1800ti motor. Furthermore, attached to the head isthe older style sprocket timing chain tensioner. The timing chain must have a little different sound to it compared to the 02. Your crank appears not to be fully counterweighed. I don't think any machining is required to install the later fully counterweighed crank from the 2 liter. It should be just a straight swap. Most of the fully counterweighed cranks have 8 holes for the flywheel, although the early ones up op about 1969 had 6 holes. If you want to use your existing flywheel, you will need to find the early 6 hole style. Otherwise, you will need to also get the 8 hole flywheel. Thanks for the information. The reason I thought about using the 2002 crank was to be able to use the eight bolt flywheel, which I have on the shelf. Also, I did have the sprocket style chain tensioner on my 1800 which I swapped to the later slide style. Interesting about the rods. I'll be curious if anyone else can verify a changeover point. Your 1800 crank does not appear to be fully counterbalaced with 8 counterweights. It rather has 4 counterweights like the 1600 crank. The 1800 and 1800Ti were equipped with these cranks. They can be replaced with a standard 2002 fully counterbalanced crank. I doubt any machining is required. Slavs, thanks for reviving this thread. Since my first post I've learned a bit more regarding the 1800. You're absolutely correct that my crank was not fully counterbalanced as I indicated and also that the early six bolt 2002 crank will work and provide a smoother running engine. Alas as I inspected the original 1800 from my car it proved to need a full rebuild and at the time I couldn't find oversized pistons. As a result I opted to source a 2.0 liter and also to install a G245 five speed, so I gave up on originality for usability.